Culling, feeding milk to calves, early dry-off, or killing the quarter can be effective strategies for handling cows with chronically high somatic cell counts. Before starting antibiotic therapy, a milk culture can help determine the proper drug for the proper bug. Every dairy has cows with chronic high somatic cell counts (SCC). My definition of a chronic high SCC cow is one that has a SCC of 400,000 or higher for two or more consecutive tests. Oftentimes these cows are contributing a large percentage of the bulk tank SCC. It is not uncommon to see the monthly Dairy Comp 305 data or other herd management records reveal 1 percent of the herd with a high SCC contributes anywhere from 15 to 35 percent of the total bulk tank SCC, with the normal range being 12 to 16 percent. 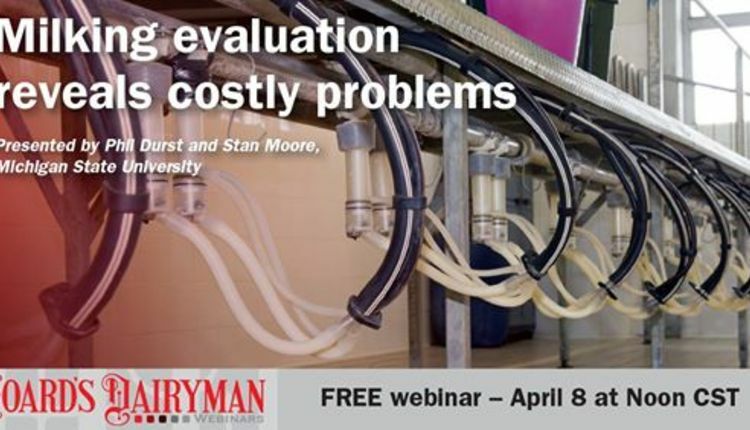 Cows with two or more consecutive tests over 400,000 should be monitored, and in some herds, focusing on those with SCC over 1 million can result in significant improvements in the bulk tank SCC. These chronic high-SCC cows are preventing your dairy from getting a better SCC premium on all the milk in the bulk tank and that can be very costly. In the past, many dairies just culled these cows, but upon reviewing their records more closely, many of these animals are really too good to sell. How do you solve the dilemma? There are really four options for handling chronic high-SCC cows. Each dairy has to determine what works best for their management scheme. The first step, however, is to always check the cow with a California Mastitis Test (CMT) paddle before making any determination. That’s because the data from DHIA (Dairy Herd Information Association) can be outdated and the animal may have cured since the last test. Many dairies are surprised that animals that were in the millions on the DHIA test are now CMT negative. This is commonly seen on animals that experienced an environmental infection. Option 1. If the cow has bad feet, is not pregnant, has low production, or is otherwise just not a good cow, she can obviously be culled from the herd. This is quick and easy to do, but you cannot afford to cull all problem cows. 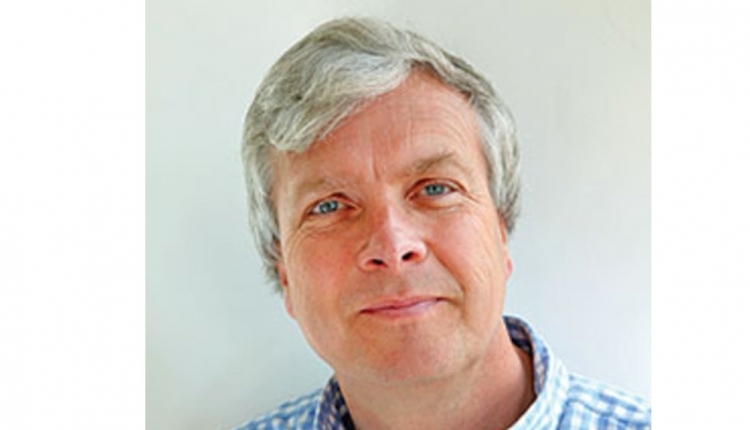 Culling the correct cows does make economic sense for your herd. Option 2. If you need milk to feed calves, oftentimes an excellent choice is the chronic high-SCC cow as its milk will be kept out of the bulk tank. It actually helps you make more money because the milk is less expensive than a good milk replacer, and your bulk tank SCC goes down so you get higher premiums on all the remaining milk sold. 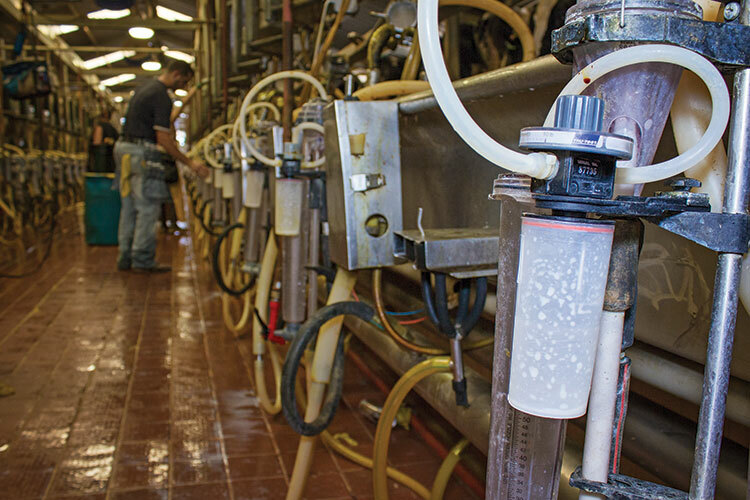 More and more dairies are buying pasteurizers, making use of “waste” milk even more enticing. Option 3. If the cow is pregnant and a good cow, consider drying her off early. The cow can be aggressively dry treated under veterinary supervision and taken out of the bulk tank with the hope that when it calves for the next lactation the cow will be cured during the dry period and have a low SCC. An excellent management tool would be culturing the problem cows prior to dry-off to know what type of bacteria you are dealing with in each quarter. Work with your veterinary-client-patient relationship (VCPR) veterinarian and develop the best treatment for each of these infected animals. The key for these cows is to keep good records and check them after they calve but before they are put into the bulk tank just in case they were not cured and still have a high SCC. If the cow is still high, you can then have a discussion with your herd veterinarian and develop a treatment protocol for this cow to see if it can be cured. Option 4. One of my favorite options for chronic SCC cows is to evaluate them with a CMT paddle to determine their number of bad quarters. Many times, the chronic cows have one bad quarter and three good quarters. When the one quarter is removed, the cow’s SCC often drops from over a million to under 200,000, a huge benefit for the bulk tank. My recommendation is to check the chronic SCC cows with the CMT paddle, and if only one quarter is bad, kill it by using one of the most common treatments of either Nolvasan Solution (Chlorhexidine diacetate) or Povidone Iodine Solution. I suggest you discuss these options with your herd veterinarian under the VCPR and figure out the best solution for your cows with the proper withholding time. For Nolvasan and Povidone, the common dosage is two treatments 24 hours apart. I have to stress that killing quarters requires extra-label therapy and cannot be done without the guidance of your VCPR veterinarian. It is important that they contact Food Animal Residue Avoidance Database (FARAD) and determine the correct withholding times for meat and milk so your dairy is selling residue-free products. If more than one quarter is found to be bad, then you need to consider one of the other options discussed like using the milk to feed calves, early dry-off, or culling. This again will be a cow by cow decision, depending on what else is happening with each cow. I have had many dairies with unacceptable levels of SCC in their bulk tank implement the chronic SCC protocol. All saw a dramatic reduction in bulk tank SCC. This is significant since, as the dairy industry moves forward, milk quality will continue to be one of the most important things to protect the dairy’s milk supply and profitability. Working with chronic high-SCC cows is a management protocol to help fine-tune your bulk tank SCC, but I cannot stress enough the need to try and prevent chronic high-SCC cows. If you work on some chronic high-SCC cows with my suggestions, but keep making more chronic high-SCC cows in the herd, your gains are minimal. 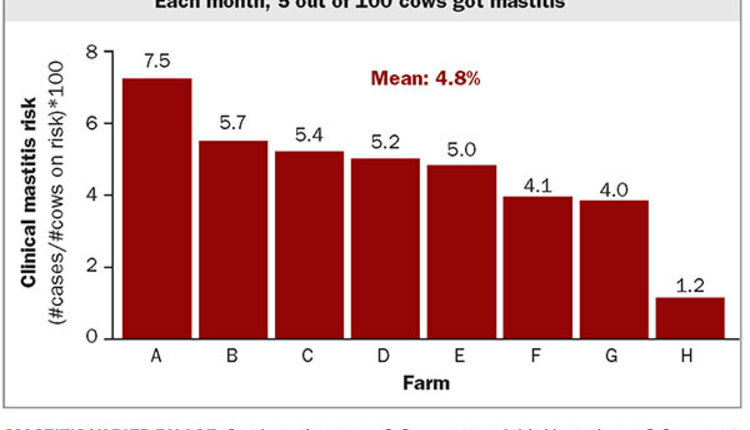 In my many years of consulting in milk quality, I believe the most common causes of chronic high-SCC cows are poor detection of mild mastitis, decisions not to treat mild cases and see if they get better on their own, or poor treatment protocols that do not get good cure rates. I am surprised how many dairies treat every case of mastitis the same way despite considering which bacteria is causing the mastitis. The best results are achieved when the cows are treated early with the proper drug for the proper bug. The data is clear that delaying treatment up to 24 hours until a culture result is achieved will have no negative impact on cure rates. The only exception to this rule is if a cow is toxic, she needs some type of supportive therapy immediately. 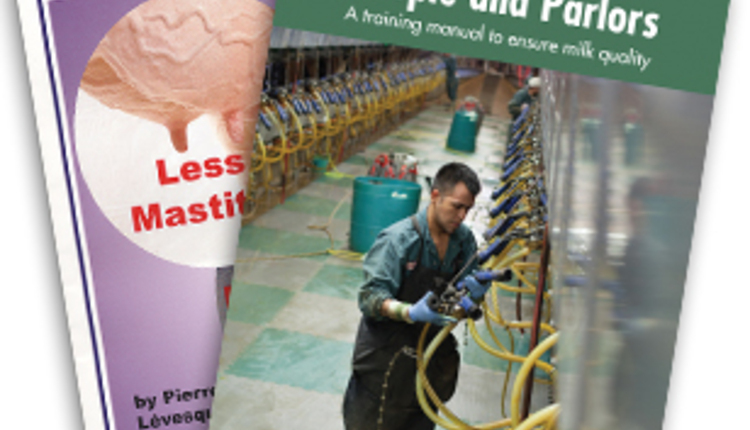 If a dairy is really interested in producing the highest quality milk on their farm, they need to focus on all parts of the Mastitis Triangle (routine, cow, and environment) at all times. 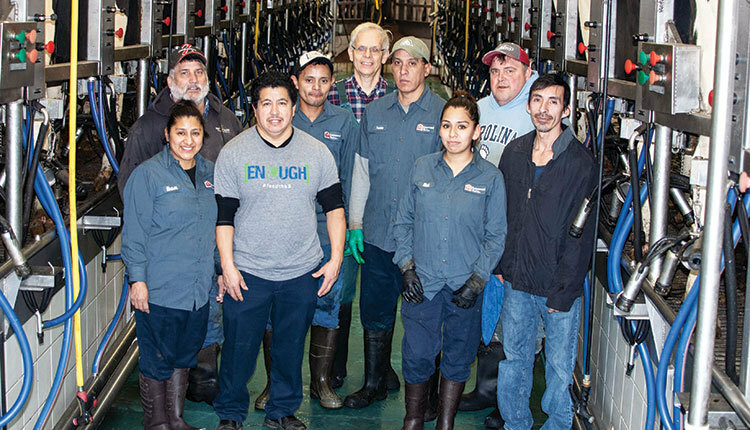 Working with chronic high-SCC cows helps you improve the bulk tank SCC immediately, but the best solution is a great milk quality program on your dairy that helps you prevent mastitis at all times.